The taste of Southern Wild Gin is drawn from wild rivers and perfected with botanicals handpicked in Paradise. Craft distilleries are gaining traction around the country as fantastic destinations – providing curious tasters with a range of esoteric flavours to choose from and usually a glimpse into the process itself. One such Distillery is the Shene Estate. 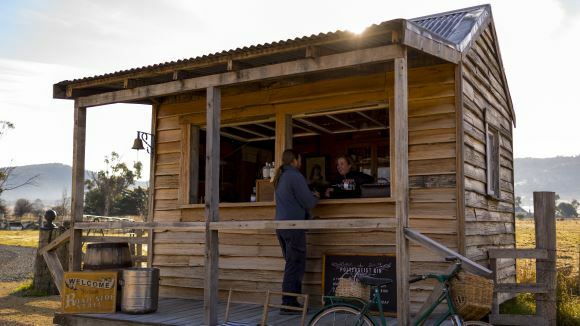 It provides a unique attraction, offering not only tastings but a glimpse into what life is like in rural Tassie. A living museum, family home and distillery. Home of Poltergeist Gin, Mackey Whisky and the Kernke family, you may want to stop off at the Shene Estate & Distillery Road Side Stall. Open every Sunday from 10:00am to 4:00pm. (Closed over the Easter long weekend) and manned by a family member. View their website to learn more – you can go on tours of the estate, bakery tours and of course gin tasting tours ending at the Distillery itself. There’s never been a better way to go behind the scenes. Taste the best of what Tasmania has to offer.